Whether you're feeling joyful, lonely, or excited this advent, actively choose to rejoice through your circumstances that, "the promise of life on earth with him and then life forever with him is a joy that is pure and a joy we can hold on to throughout every season." So many things on earth give us little snippets of joy, especially at this time of year. The smell of mulled wine circulating the kitchen, putting up all the red and gold decorations with the best Christmas tunes on in the background and cosying up on the sofa with The Holiday on and the fire lit. It is a short little season of joy. However, all too soon, the decorations have to come down and the days of cosying up by the fire come to an end. Does this seasonal joy come to an end too? Sometimes it feels like there is so much more joy and goodness stored up in this one season than any other, is this really the case? Well, I think the answer is no. Joy that is pure, that is lasting, that is real, does not come from this earth and cannot be found in a season. Our source of joy has to come from something that transcends season and time. Pure joy has to be something that lasts throughout whatever season we are in and our current circumstance. It has to be more than the little joys in life, it has to be something more firm, that we can hold on to. This pure joy can only be found from one source and that source is the truth that we belong to a God who is faithful, who is just and who will forgive us. This truth that we are made pure in the eyes of a perfect God, is one thing that can transcend through every season. Pure joy is something that doesn’t depend on our circumstance but depends on our God. When we learn to lean into him, to trust in him and to believe in his faithfulness in every season, we learn what pure joy is. We can experience the fullness of joy when we experience the fullness of God’s character and trust in the fullness of his promises to us, independent on what is going on around us. One of the definitions of the word ‘pure’ is to be perfectly in tune and with a clear tone. Despite the fact that this is a musical definition, I think this can also be an insight into what our joy can look like. When we are in perfectly in tune with God and clearly know his promises, we can hold onto pure joy. What does this look like practically for us? This looks like knowing and trusting in God’s promises every day. On days when we feel really close to Him and on days when we feel really far. On days that look like putting up the sparkly decorations with Micheal Bublé on in the background and on days that look like taking them down and hoovering up the mess. In seasons that are full and season that feel empty, we need to hold on to the promise and the truth that when we come to God, he always forgives and he is always faithful. The promise of life on earth with him and then life forever with him is a joy that is pure and a joy we can hold on to throughout every season. 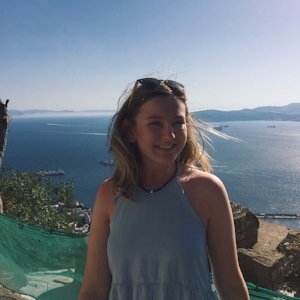 Hannah is from Northern Ireland, and is currently in her 2nd year at Durham University, studying anthropology and sociology. She loves nothing more than a good coffee, some good pals and a good laugh!